Persian Cats, Persian Breed of Cats, Most popular cats breed in the world. The Persian cat is believed to have originated from Iran formerly known as Persia and the neighboring countries. These Persian longhairs were believed to have been discovered there by Europeans way back in the year1614. At that time these cats were kept by nobles in France and Italy. Due to the long history of the Persian opinions on its origin differ. Some breeders are of the opinion that these cats are not from Iran or have a Persian origin thus impliedly favoring Russia or other countries. In 1871 the Persian was brought to London and became soon quite popular in England and subsequently also spread in the rest of the countries as well. 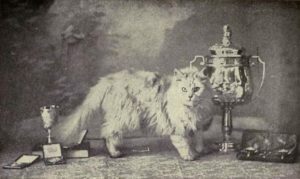 As a matter of fact, it was in England that the Persian was first registered among the first cat breeds. 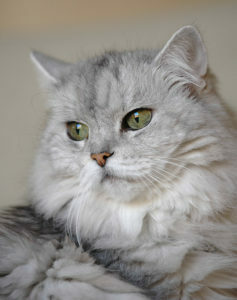 Now the Persian is the most popular cats breed in the world. Coincidentally, Persian cats are thought to be the oldest breed of cats. However, at the same time, there are numerous different versions of where the Persian cat began. 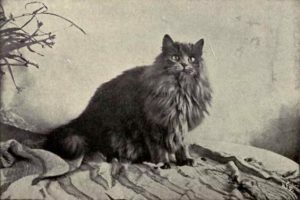 It is widely believed, however, in all versions that the Persian cat originated in the country that was once known as Persia, which is the present day Iran. The popular version of the Persian cat history is that Persians were introduced first to Italy, around 1620, by Pietro Della Valle and that they were brought from Turkey to France by Nicholas Claude Fabri de Peiresc about the same time. These are documented instances, but have again, fit into all versions of the Persians history. There is no doubt that the ancient Persians always considered being cats of high value. They were considered to be rare, and hence also favored by royalty. In fact, there was a point in time where royalty were the only people who owned Persians or at the very least that Persians were only owned by people of royalty and/or wealth. Another version of the Persian history has today’s Persians as descendants of Felis Libyca, which is actually a cat that originates from Africa and Asia. This version also has the Persian being introduced to Europe much earlier than 1620. In fact, this version has the Persian being introduced in the 1500s by the Romans and Phoenicians. This version also states that Persians were considered to be of high trade value. The king begged to know how he might overcome the odds that were so heavily against him, and the seer answered, “You will have to find, somewhere in your kingdom, a man with the face of a cat.” When the time came, the king did just that thing – found the man – and defeated the armies against him.